(We're in the part of town, not far from the railroad tracks and Aviation Highway, where streets turn diagonal and become Stravenues. This, for instance, is the chunk of Tucson Boulevard called Tucson Stravenue. 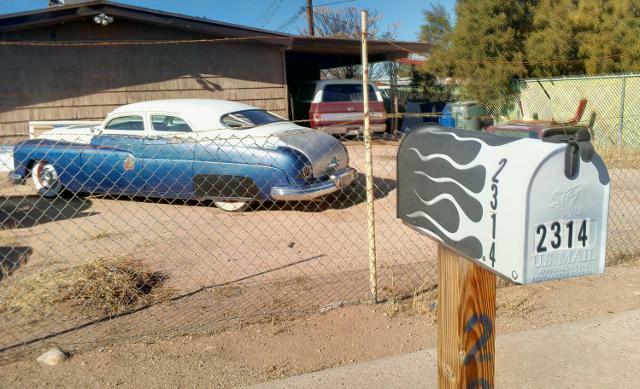 There's also a Tucson Avenue.) I roared by here (on my bicycle :) December 23rd.